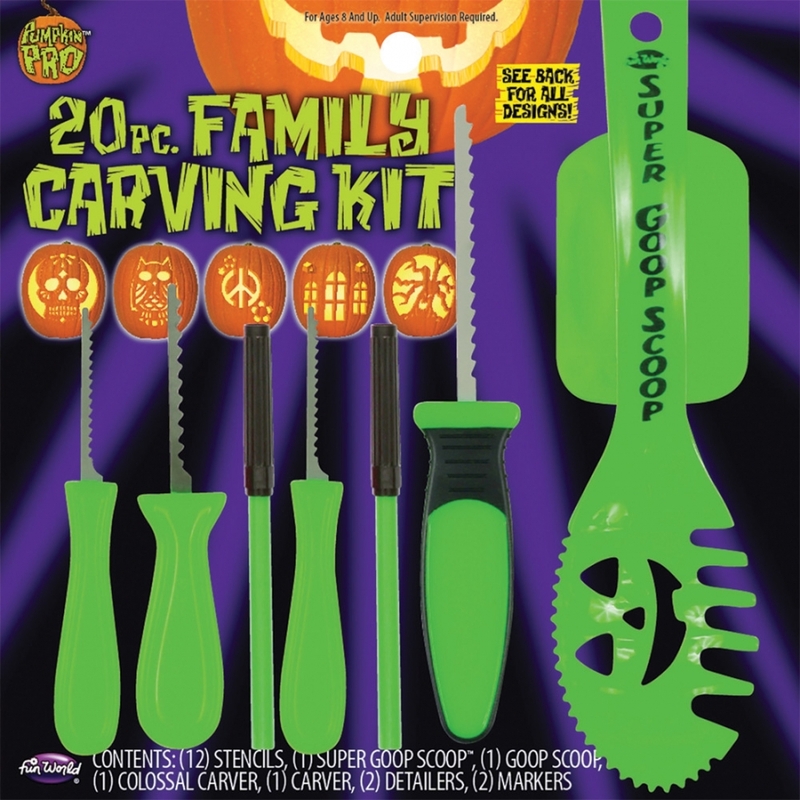 Everything you need to make your special Jack O Lanterns! 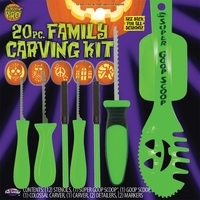 20-piece Carving Kit contains 12 stencils, 1 pumpkin scoop, 1 large saw, 2 detailer saws, 1 colossal carver, 1 10 inch Super Goop Scoop, and 2 markers. All you need is the pumpkin!